If you’re feeling peckish or are on a no-cake diet, look away now! 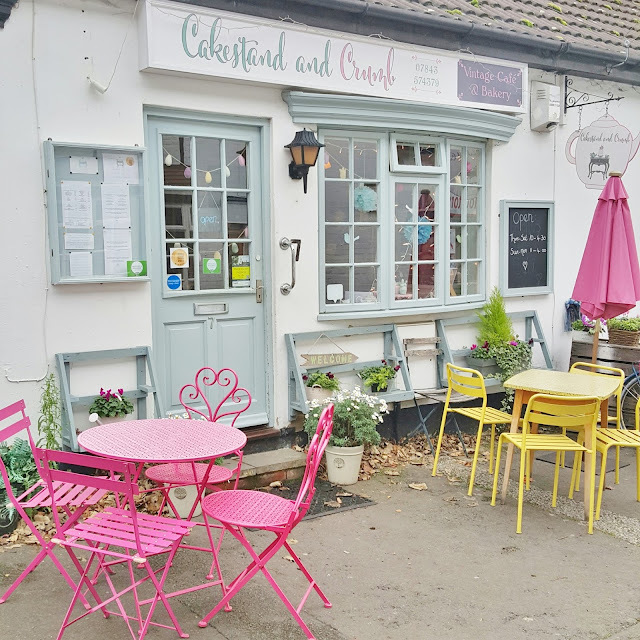 I recently found this adorable little tea room local to me in Ampthill, Bedfordshire. It’s called Cakestand and Crumb and is a tiny little vintage style cafe down a little side street in the pretty town. 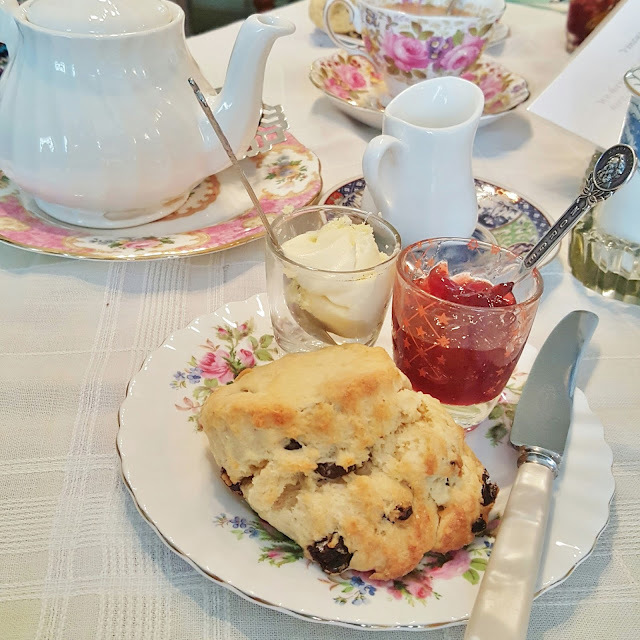 I visited back in November and I’m planning on popping in again this weekend for a scone and an excellent big slice of their home made cake! The cafe is only small with a few little tables but it is so so pretty! The tables and chairs are all lovingly upcycled bits of old furniture with vintage tablecloths and there is pretty bunting and sweet decorations all around. 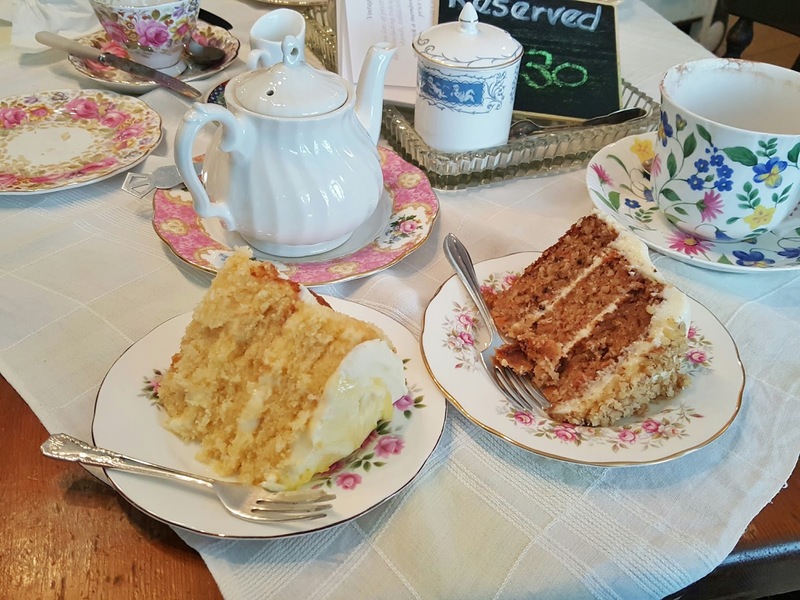 My favourite thing about the tea room is that everything is served on beautiful mismatched vintage crockery! 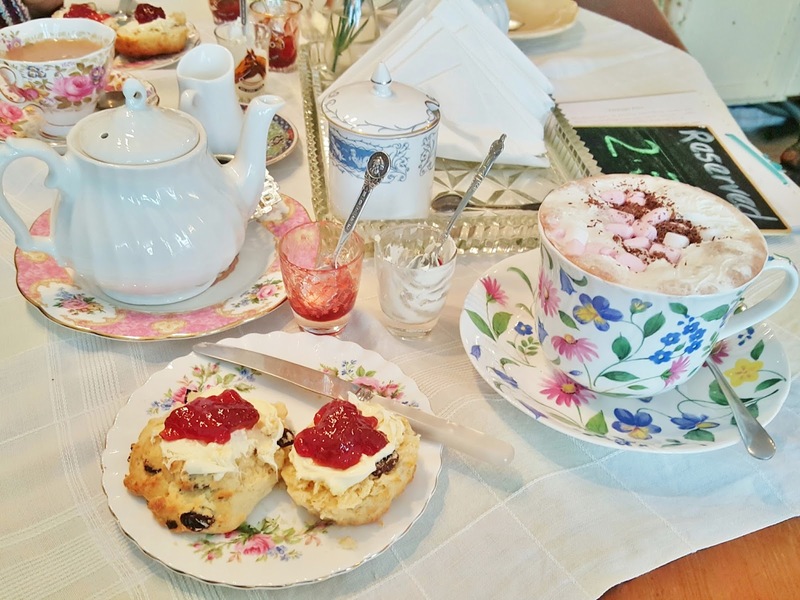 You may have noticed I have a bit of an obsession with collecting floral random tea cups, so this place is heaven for me! As soon as you walk in the first thing you will notice will probably be the big glass display cabinet full of AMAZING massive cakes! Some of the cakes are three tiers, and there is also scones, brownies, cookies and lots more yummy treats! 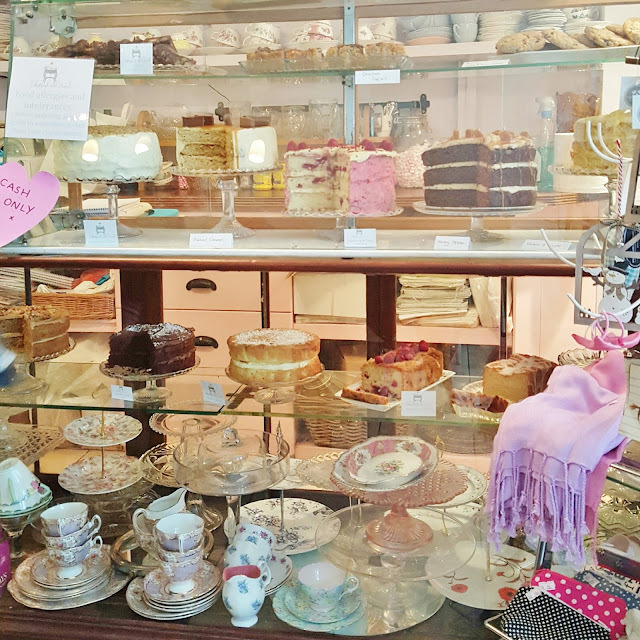 I was surprised by how many different cake flavours were available, especially as they all seemed to be home made. 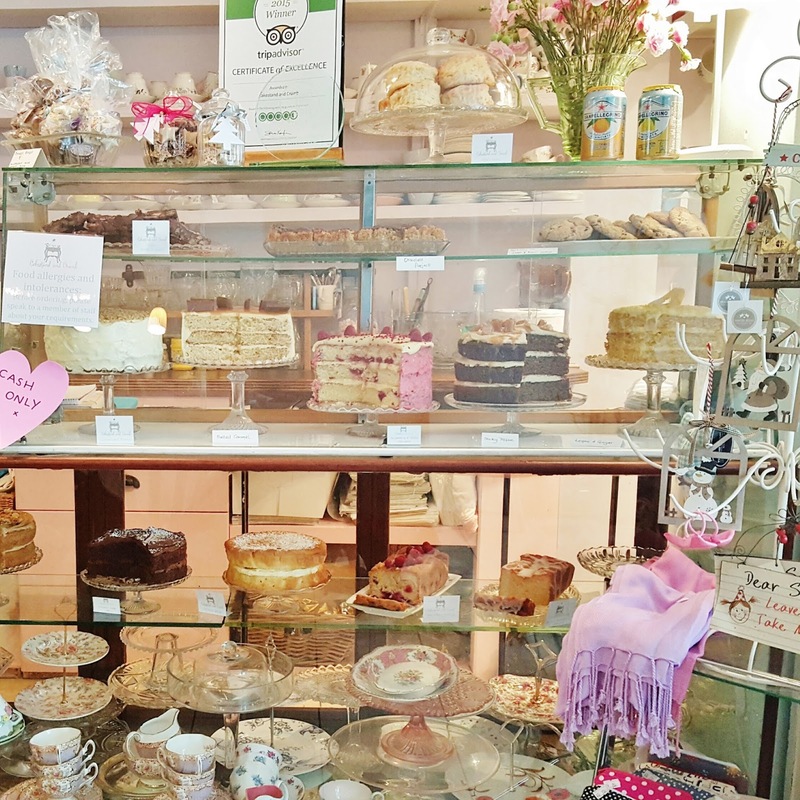 Some of the cake options available included salted caramel, raspberry and white chocolate, sticky toffee, lemon and ginger, chocolate fudge and lemon drizzle.. yum! I chose to have a fruit scone with clotted cream and strawberry jam, which was perfect and very tasty. And I always feel like things taste better when served on pretty vintage plates! 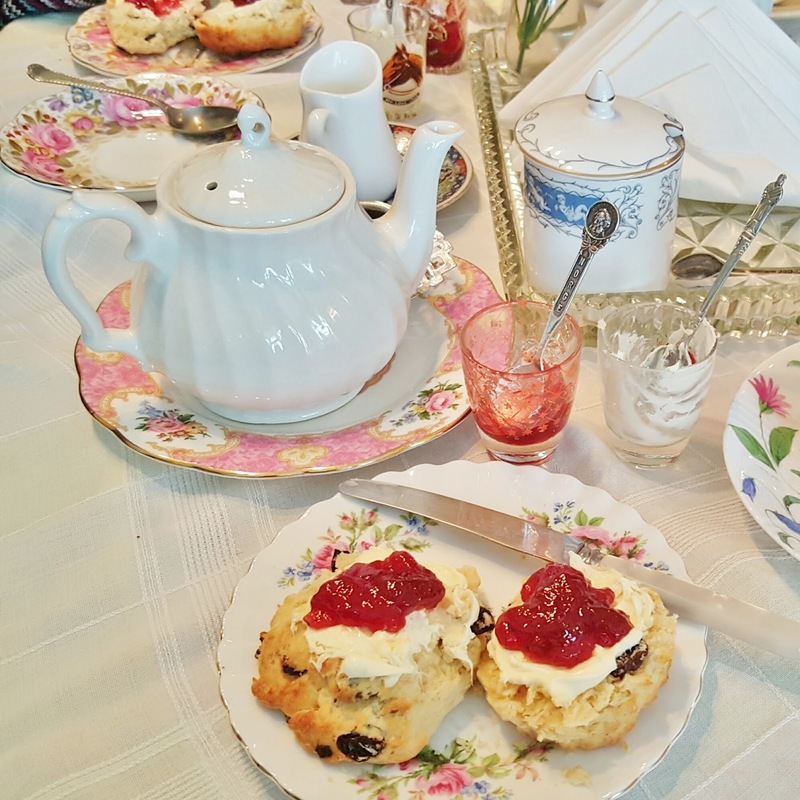 I also loved that the cream and jam was served in mini vintage glasses with old cutlery. I’m not a tea drinker so instead of having a pot of tea I decided to order a hot chocolate with cream and a sprinkle of marshmallows to go with my cake. I was served this in a nice big cup and saucer and it was perfect! I could just go there right now! 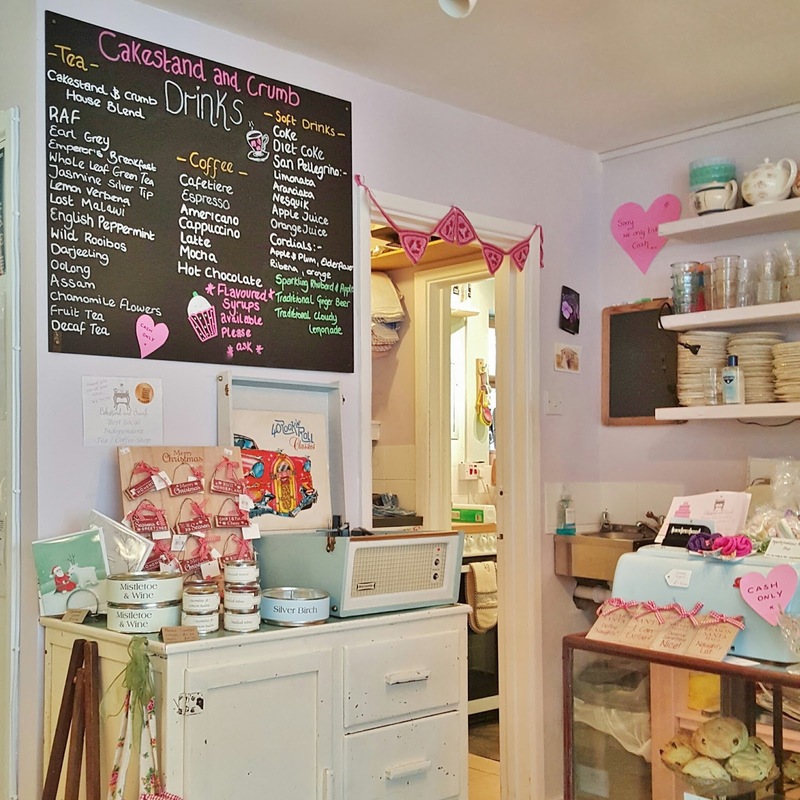 This looks so cute, I love finding new little tearooms! Oh my! 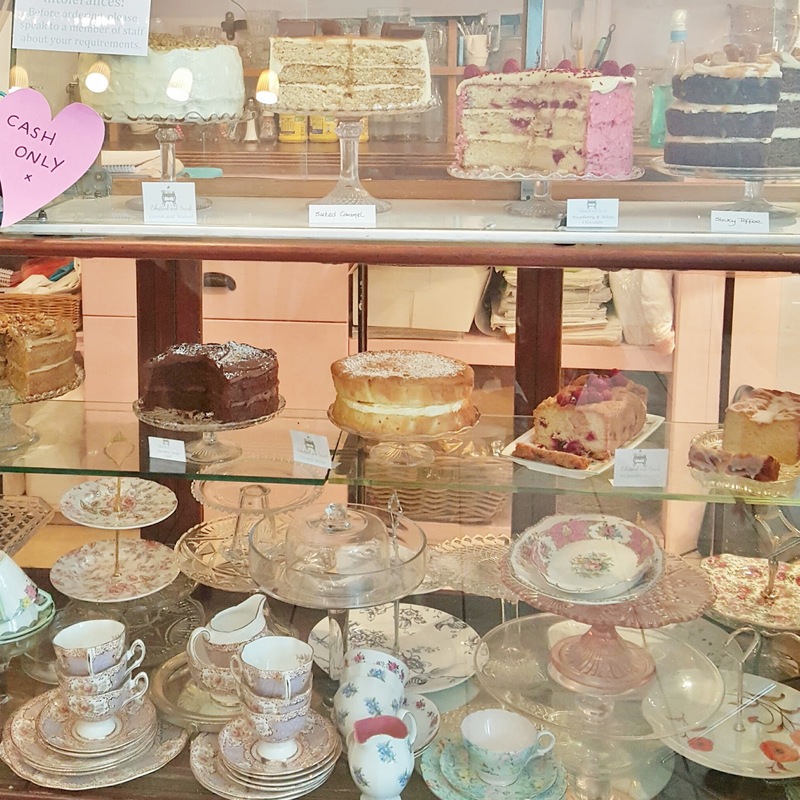 I don't know which I love more – all the lovely vintage pastel pretties or the equally pretty and delicious looking baked yummies. Omg it's like heaven, so cute and colourful ?